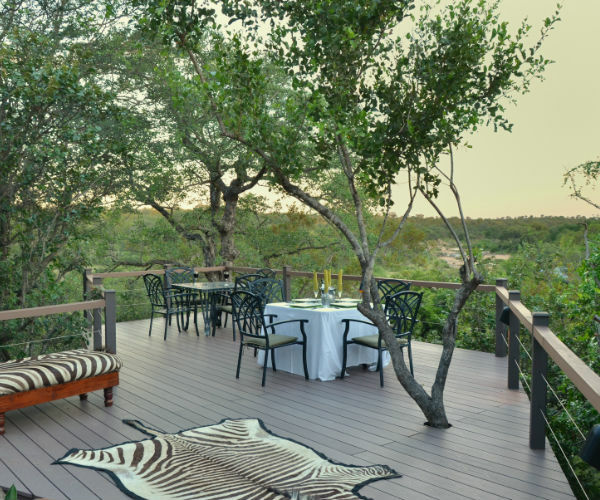 An oasis in the Kalahari Desert, conveniently located on the banks of the Boteti River, the Drifters Maun Lodge offers any visitor to Botswana the opportunity to relax and unwind under the shady camel thorn trees that cover the green lawns and the tranquil gardens. 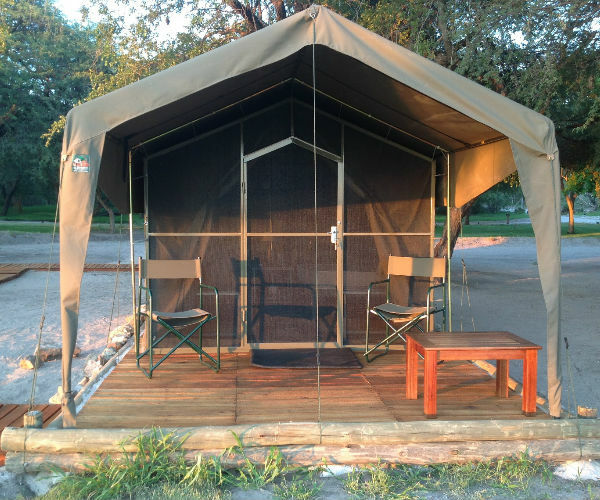 Situated on the A 3 Maun – Nata road he Lodge is just 30km east of Maun and offers guests 10 Twin Tented Units in a scenic natural environment. 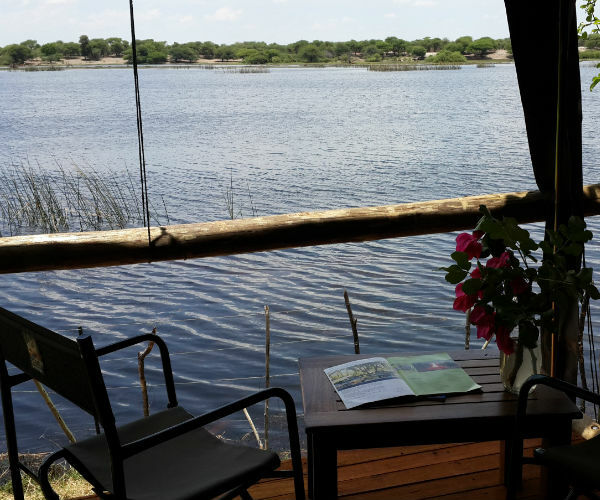 Being close to Maun it provides the ideal stopover for travelers en-route to or from the wilderness areas of the Okavango Delta or the National Parks. 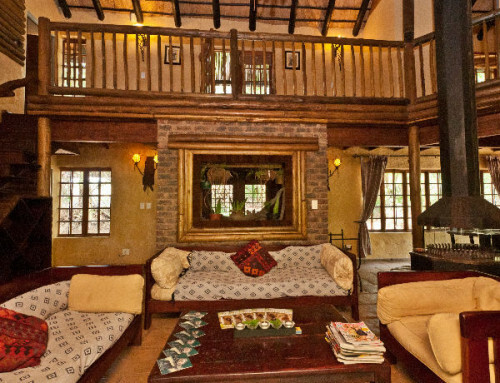 Easily accessible in a two wheel drive vehicle an inviting swimming pool and river views welcome guests. 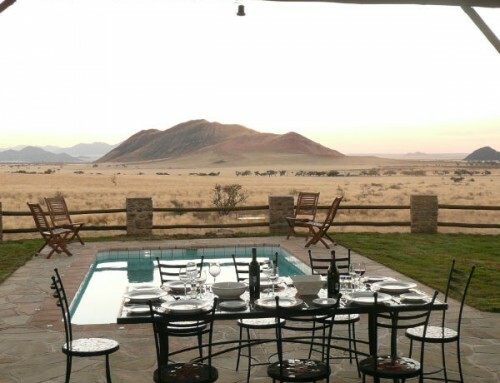 Our fully licenced restaurant offers a variety of meals and light lunches or dinner may be enjoyed under the starlit skies. 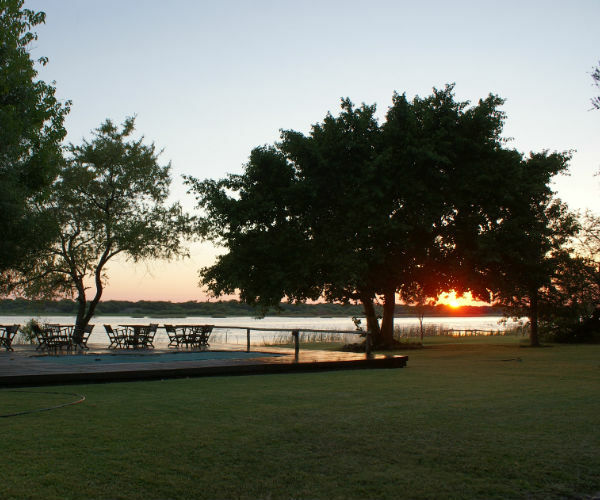 Floodlit pathways lead you to your riverfront unit from where you enjoy the serenity of the area on your private deck. 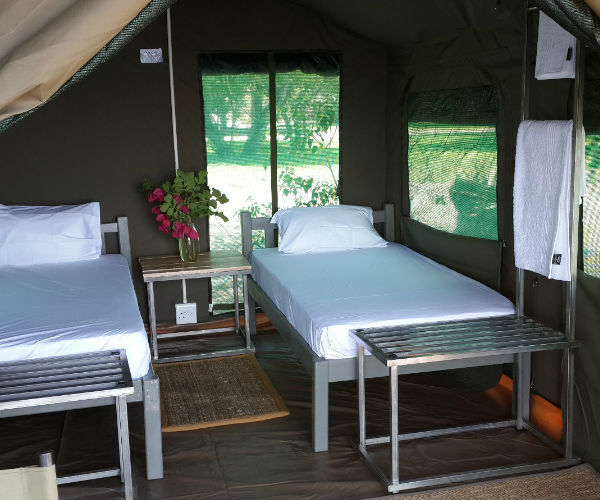 For those more adventurous travelers the Lodge also offers camping with clean ablution facilities. 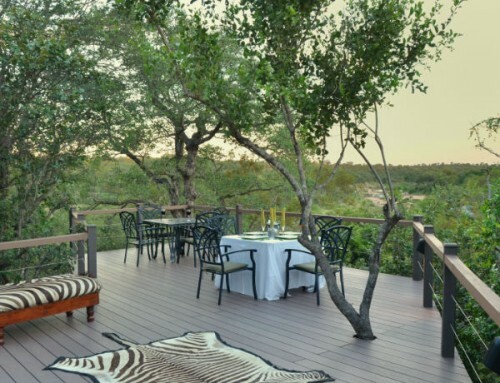 Rid yourself of the dust of a day’s exploring under a warm shower and enjoy a catered meal at our Lodge restaurant. 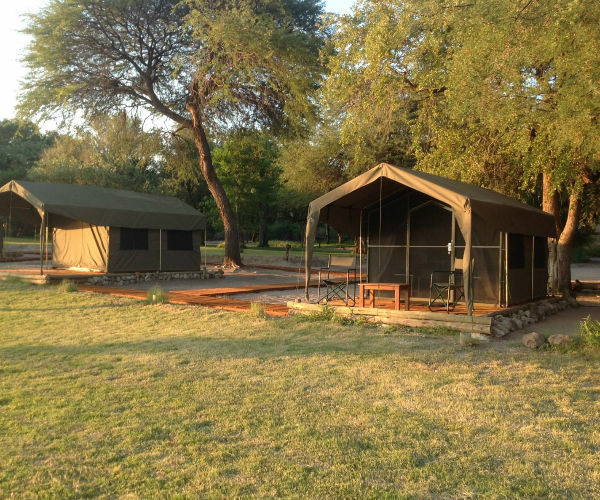 Drifters also offer guided Private Camping Tours of Botswana and other places of interest for small groups of 2 to 12 guests. 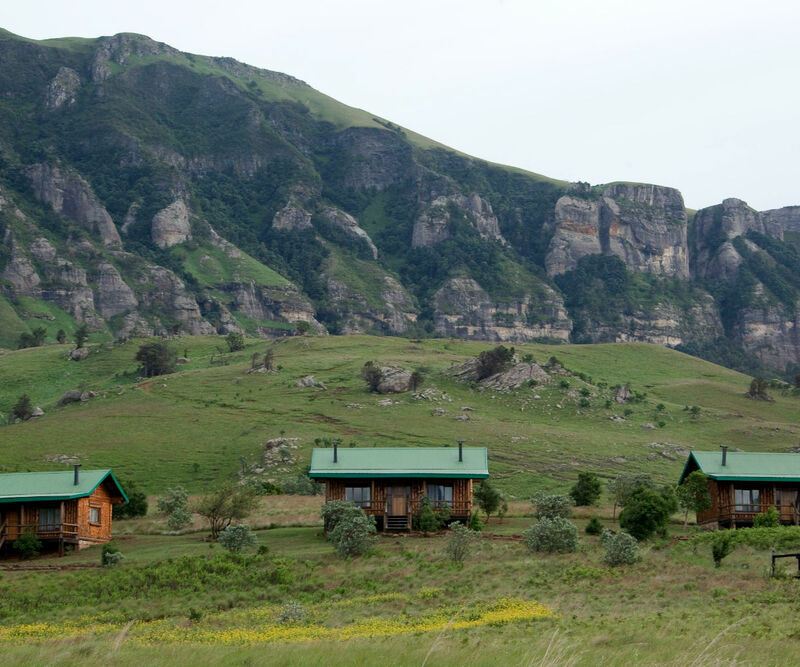 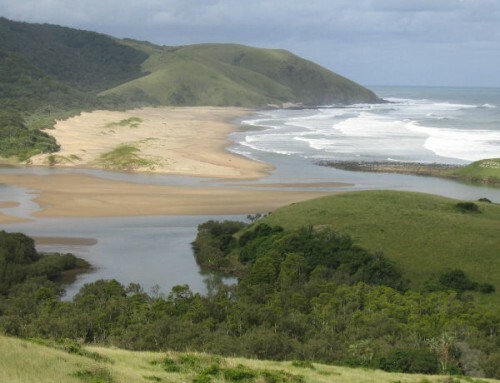 These tours endeavor to show off the highlights of the surrounding wilderness. 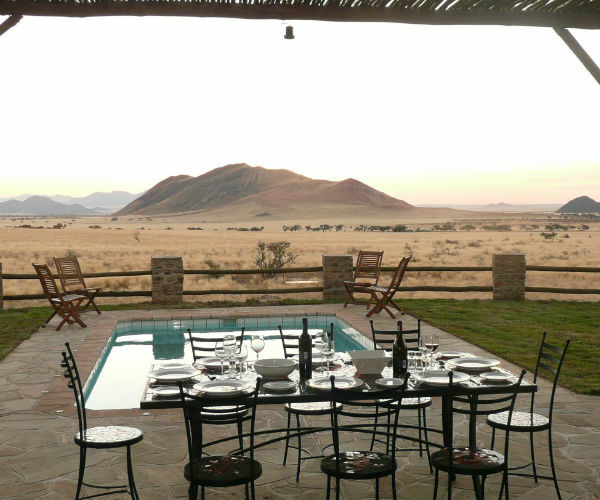 Contact us for more information and quotations and let us help you plan your next African Wildlife Experience. 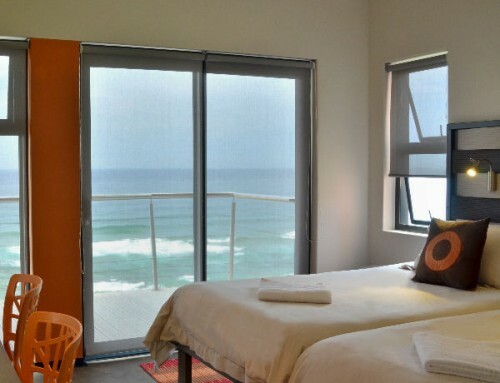 Our expert guides will insure an enjoyable experience.